Michael Richardson reports for BDN on accessibility improvements at this year’s Edinburgh Festival Fringe. As I write, the final day of the 2016 Edinburgh Festival Fringe is drawing to a close. 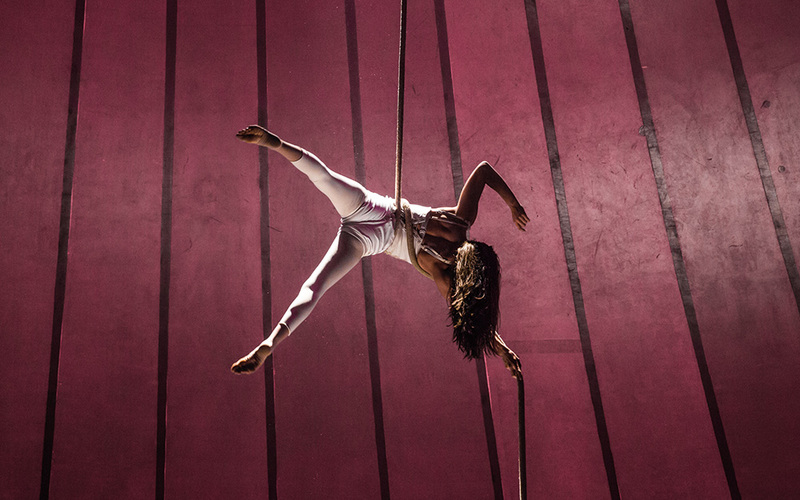 During a three-and-a-half-week period there will have been a total of 50,266 performances of 3,269 shows in 294 venues across the city: it is easy to accept the claim that this is the largest arts festival in the world. But how many of these performances are accessible to Deaf people? The Fringe is committed to improving the accessibility of Edinburgh venues and its own box office, but as it takes no role in choosing any of the shows, it is left to each visiting company whether or not to make their performances accessible to Deaf spectators. I am now doing a PhD at Heriot-Watt University in Edinburgh, researching Deaf people’s participation in theatre, so the 2016 Fringe seemed an excellent opportunity to review progress towards better access for Deaf people. The timing was particularly appropriate as I have just completed a project interviewing a small group of Deaf people on the subject of theatrical interpreting. So, debit card at the ready, I logged on to the Fringe website and began my search for sign language interpreted performances. The first good news I can report is that the amount of interpreted theatre has increased since 2011. The Fringe website’s own list of performances accessible to Deaf people featured 31 different shows, of which 11 were interpreted on two or more occasions. In addition, in the Free Fringe the Deaf and Hearing Ensemble worked with Forest Fringe to present a whole day of BSL interpreted shows at the venue Out of the Blue. Certainly there are more options to choose from for Deaf spectators than in earlier years. Interpreted shows included a wide range of performance styles. Drama, physical theatre, circus, children’s shows and comedy were all represented, as well as traditional Scottish storytelling and music, a choir performing African song and dance, and a skit of the Eurovision Song Contest. More choice was offered by the use overall of a relatively large pool of interpreters. Still lacking, however, was a strong presence by Deaf actors. The Fringe website listed only one bilingual (BSL/English) theatre show, which I will describe later; and a one off spoken word event performed by my colleagues, two Deaf and two hearing at Heriot-Watt University. Incidentally, although the accessibility pages of the Fringe website are not easy to find, once you have clicked through they are increasingly good at giving the kind of extra information that Deaf theatregoers asked for in my research project. 75% of the shows described as accessible had a named interpreter advertised, and over 30% either gave the position of the interpreter or offered the option for Deaf spectators to choose appropriate seats when they arrived at the venue. A different style of integration was used in Lemons Lemons Lemons Lemons Lemons by Walrus, a play with two characters exploring their changing relationship in a world where they were only allowed to use 140 words per day. Here Yvonne Waddell worked with Greg Colquhoun. They were less integrated into the action, standing on one side of the theatre-in-the-round stage, but each interpreter represented one character throughout, fully costumed, partly shadowing their actors and often using a word to sign literal translation to reflect the way that English words were used in the original. The matching of the interpreters to the actors was particularly effective and is hopefully a sign of things to come in theatre interpreting. Unfortunately, People of the Eye was (to my knowledge) the only theatre show to feature a Deaf actor at the Edinburgh Fringe in 2016, although there was also a bilingual BSL/English poetry event (that I was unable to attend). For me (and others) this raises the question of why significant sums of money are put into theatrical interpreting rather than using at least some access funding to support Deaf actors and Deaf theatre: a show like Deafinitely Theatre’s recent production of George Brant’s Grounded would be a perfect fit for the Fringe. But for now we can be clear about one thing. 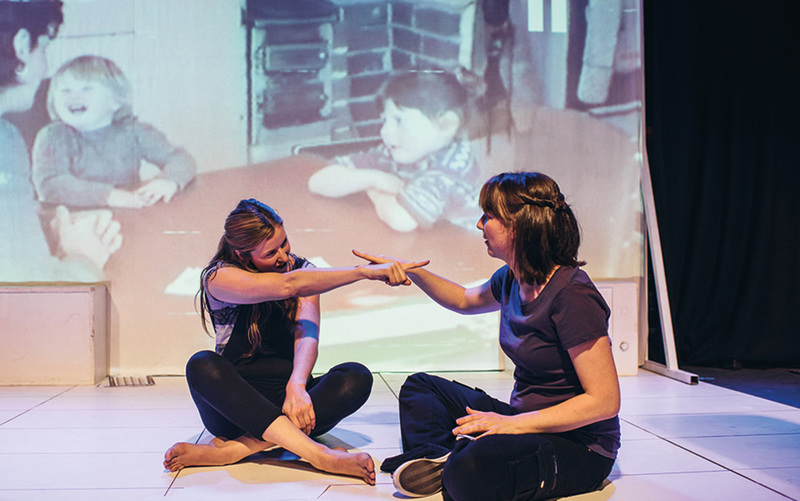 The use of BSL in performances at the Fringe is increasing, and interpreters and theatre producers are working hard to do it better, and to make interpreting more integrated. As signed performances become more common place, hopefully an appetite will grow in theatre audiences to attend performances by Deaf actors using BSL, thus coming to appreciate Deaf language and culture and all they can offer to the creation of high quality physical and visual theatre.